That’s because we plan trips that don’t account for everyone getting a little time together and a little time alone which can cause fights, resentment and sometimes can ruin a long planned family get together. 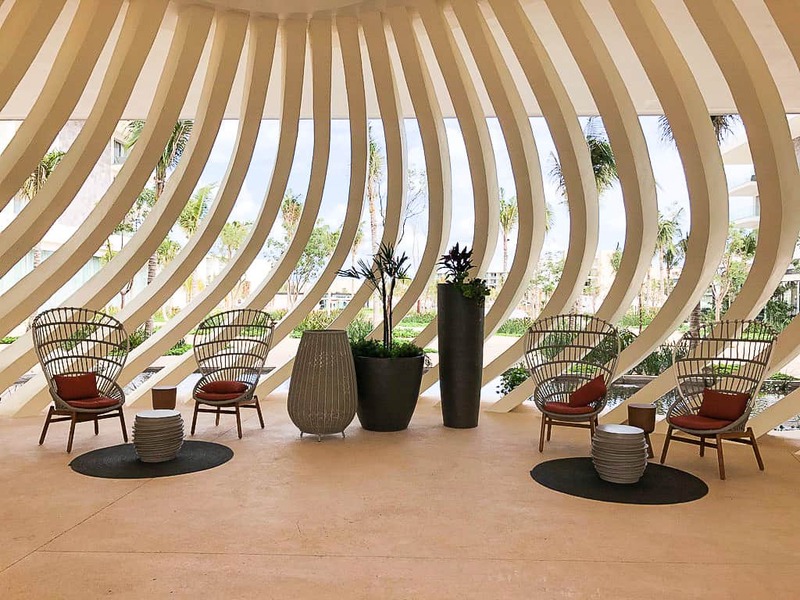 A visit to Mexico’s Grand Palladium Costa Mujeres covers all your bases so you don’t have to worry about anyone of any age being left out. Grand Palladium Costa Mujeres is located at the tip of the state of Quintana Roo, just north of Playa del Carmen and Cancun. With it’s own wide strip of beach, contemporary design and a large resort style feel, it’s a nice place to go on a family vacation without worrying anyone will be bored. 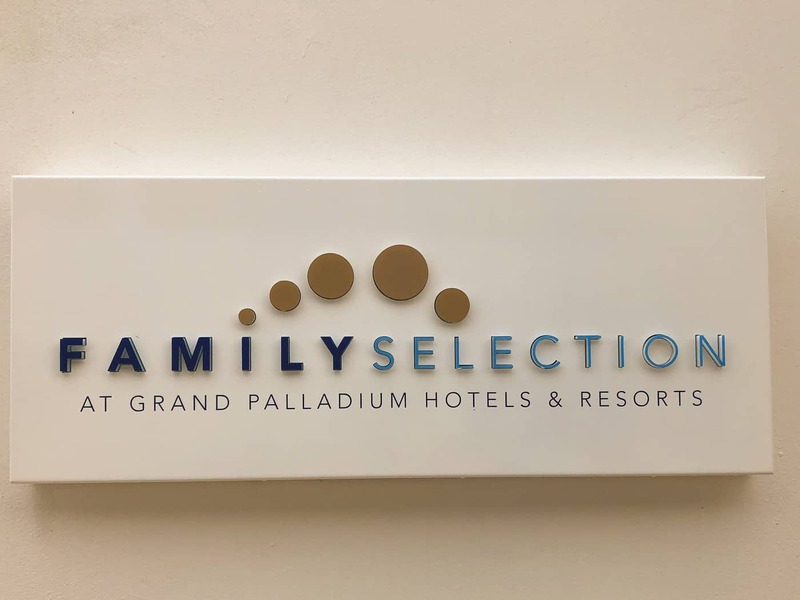 The Family Selection section is a great place to stay for anyone with children under the age of 12. 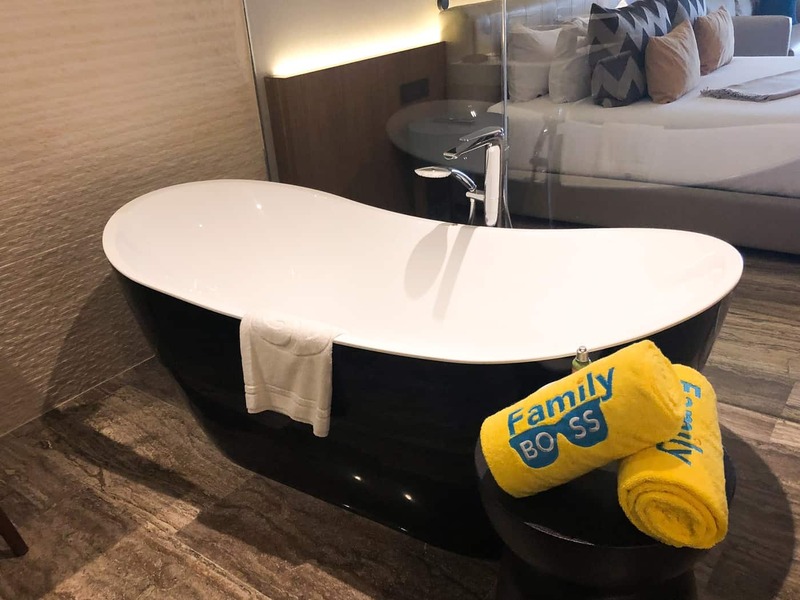 With a selection of traditional rooms or two-level lofts for more privacy, the Family Section offers exclusive services not available in other parts of the resort including each guest getting two pieces of clothing laundered for free during their visit (perfect for babies and baby’s parents! ), 24 hour room service and a personal babysitter available during your stay to give parents a little alone time whenever they need it. The kids get a welcome package and have a special towel they can use through their stay. 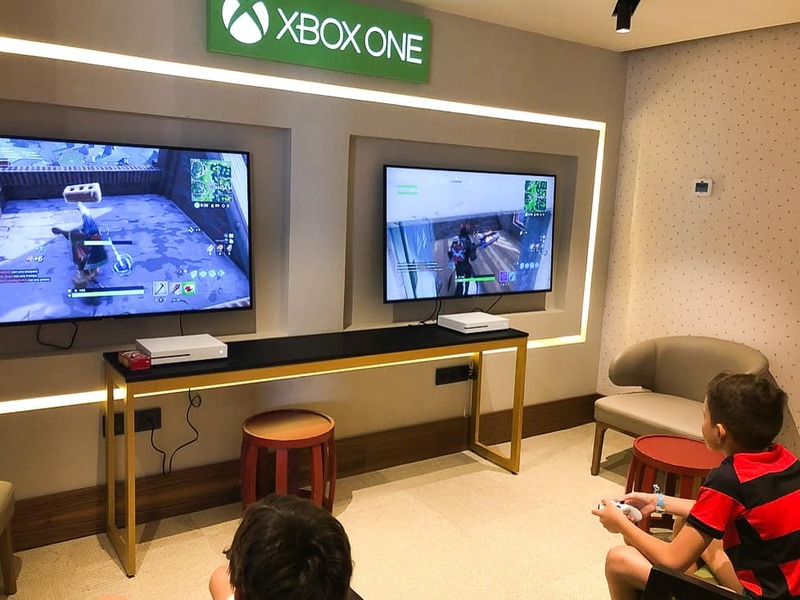 There’s also a kids club area for different age groups; one for ages 1-3, another for ages 4-11 and a teen’s club for ages 11 and up so your kids can even get a break from each other and play games like Xbox One. Grand Palladium is an eco-friendly resort so you can be sure that the cleaning products used around your little ones are safe. And if your kids have the habit of of opening doors and not adjusting the air conditioner, don’t worry – all the rooms at the resort have eco-friendly air conditioners that turn off when you open a door and turns back on when the door is closed. The Family Selection area even has a family friendly pool exclusive to that area. 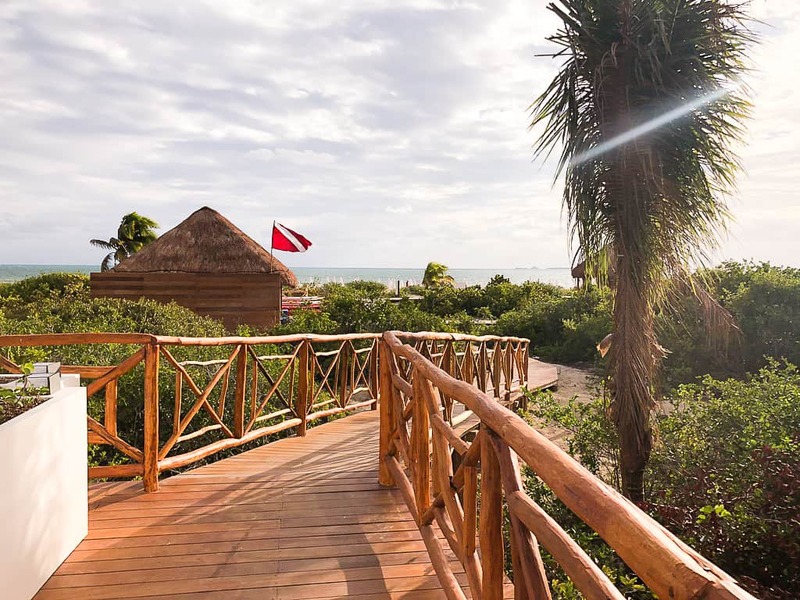 With 4 fresh water pools, including one that is exclusive to families, and a kid’s water park area, there are plenty of opportunities to get some of that great Mexican sunshine. The family pool has it’s own bar and soft serve ice cream machine. The other pools have swim up bars and plenty of lounge chairs. 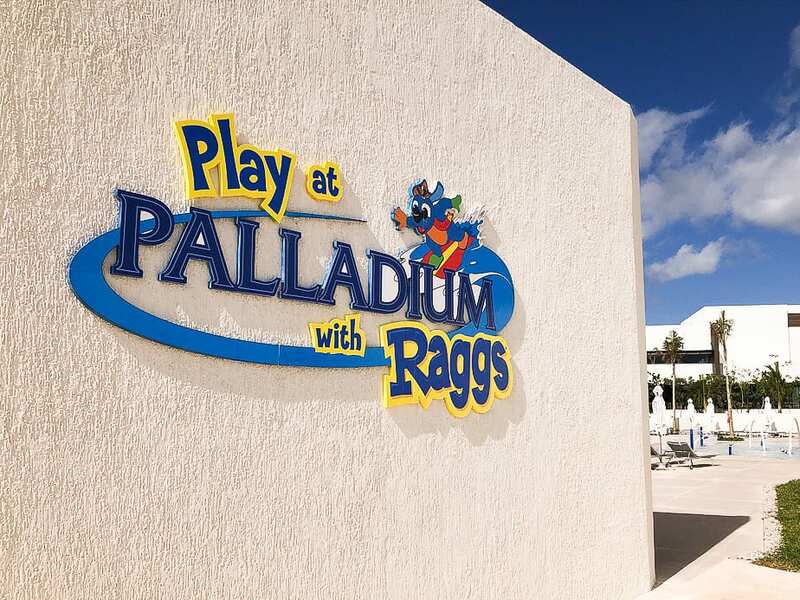 At the kid’s water park area is Play at Palladium With Raggs which is a kid’s activity area themed around the animated tv show Raggs. 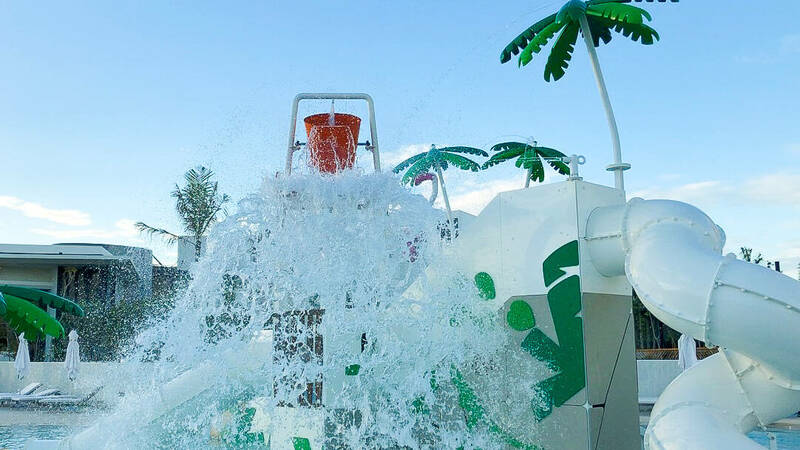 And the water park, with its dump bucket, slides and hoses shaped like flamingoes will keep the children occupied for a long time. The beaches are divided into an adult side and a side for everyone. 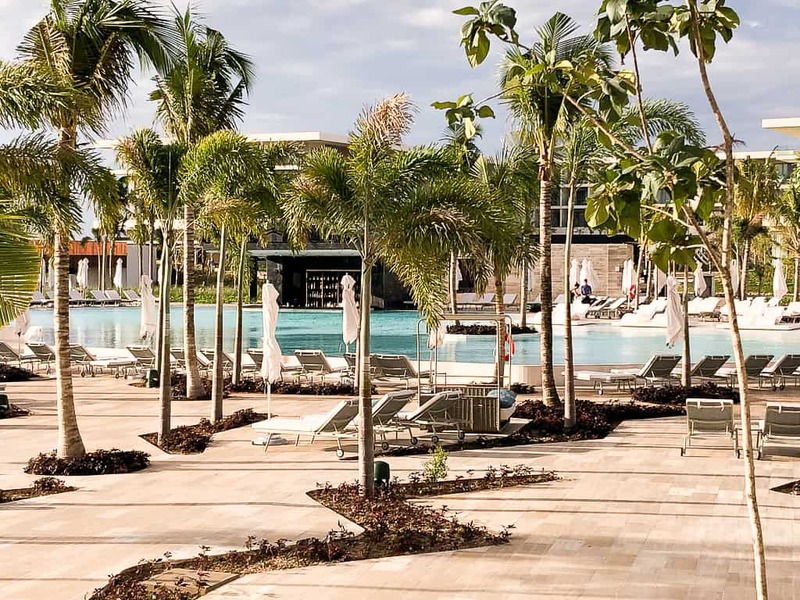 This is perfect for anyone staying at TRS, which is the adults only section of the resort, or even for parents who might want a little time without the kids. 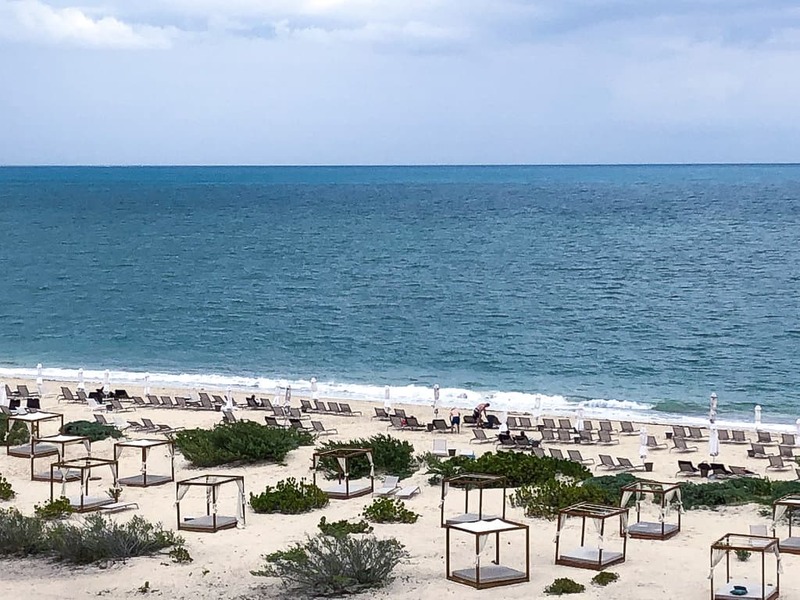 The beaches at the resort were wide with lots of sand, cabanas and lounge chairs available so you can relax and take a dip into the Gulf of Mexico. There are also stand-up paddleboards, small sail boats and SCUBA lessons & tours available. The beach activities area is located in the huts at the north side of the beach. Just look for the SCUBA flag. Looking to get a little tennis in while you’re in Mexico? 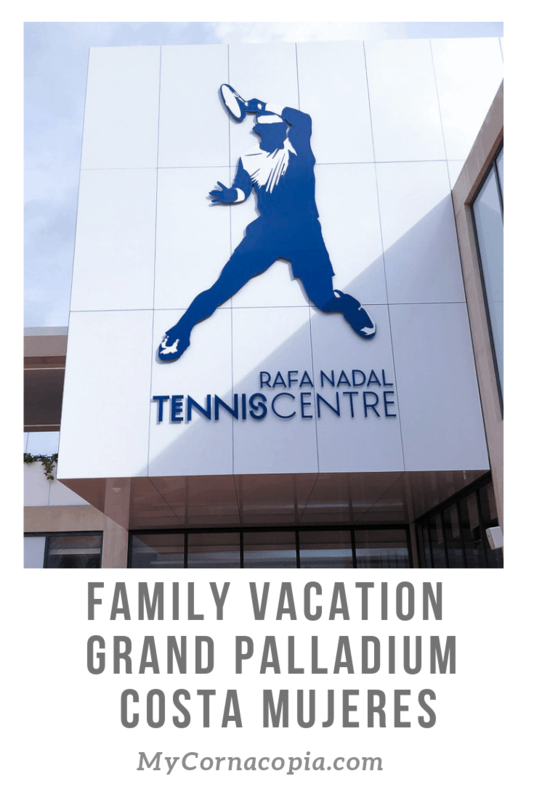 The Rafa Nadal Tennis Centre just opened at Grand Palladium Coast Mujeres. 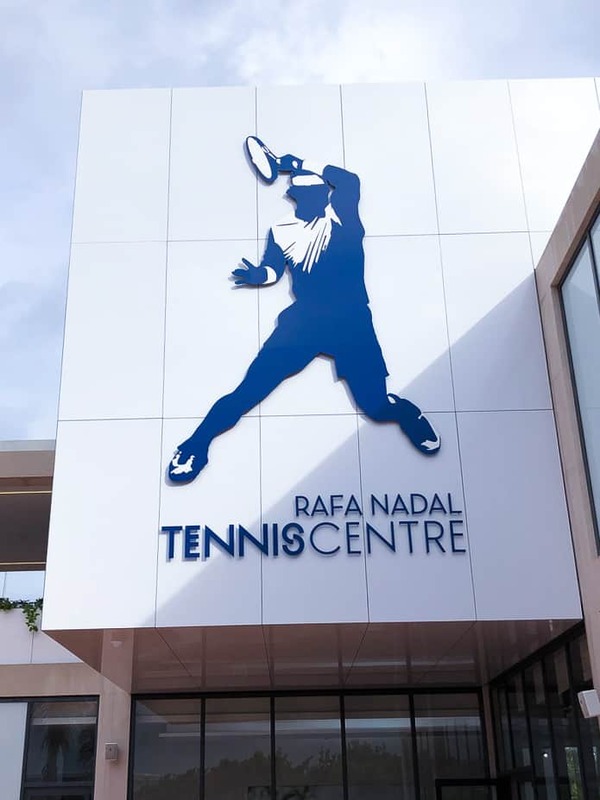 Inspired by and facilitated by the Rafa Nadal center in Spain, the center immerses students in instruction with professional tennis players. There are programs available for children and adults so all of your family’s tennis lovers can receive expert advice. Anyone a Rafa Nadal fan but not a tennis player? 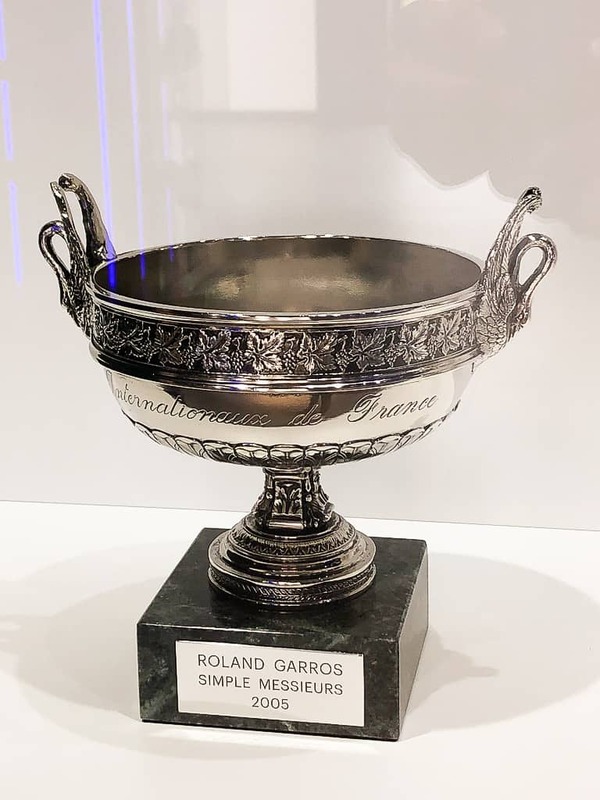 Be sure to visit the museum on site that houses Nadal’s shoes and trophies and also artifacts from some of his tennis compadres. There’s also a cafe and shop on site. Need to get around the resort and a little tired of walking? Try one of the electric boats that go along the canals that were built in the center part of the resort. There are 8 stops to help you get from place to place. The kids will love them! 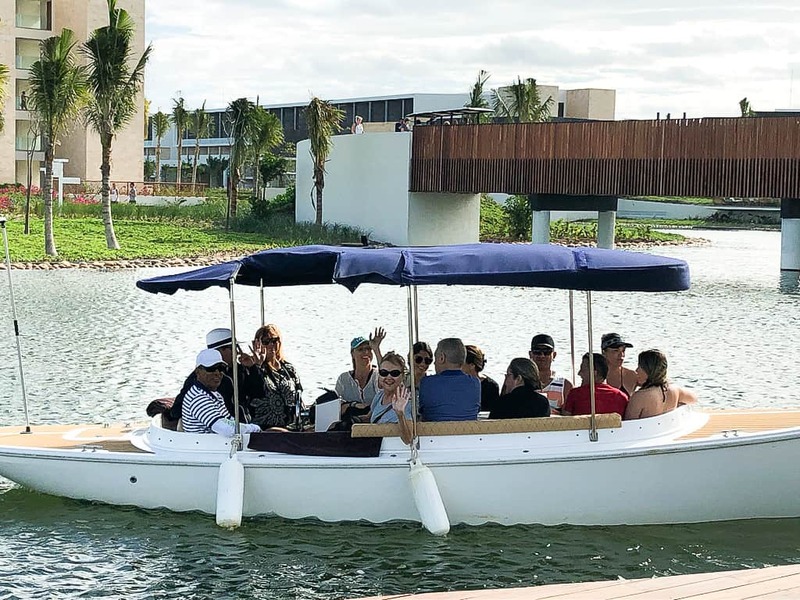 If you need a little break from the resort or you just enjoy going out to see other things on your vacation, Grand Palladium Costa Mujeres has a tour desk to help you set up excursions. You can also take a taxi from the resort and head into Cancun or even to Isla Mujeres, which you can see from the Grand Palladium’s beach. 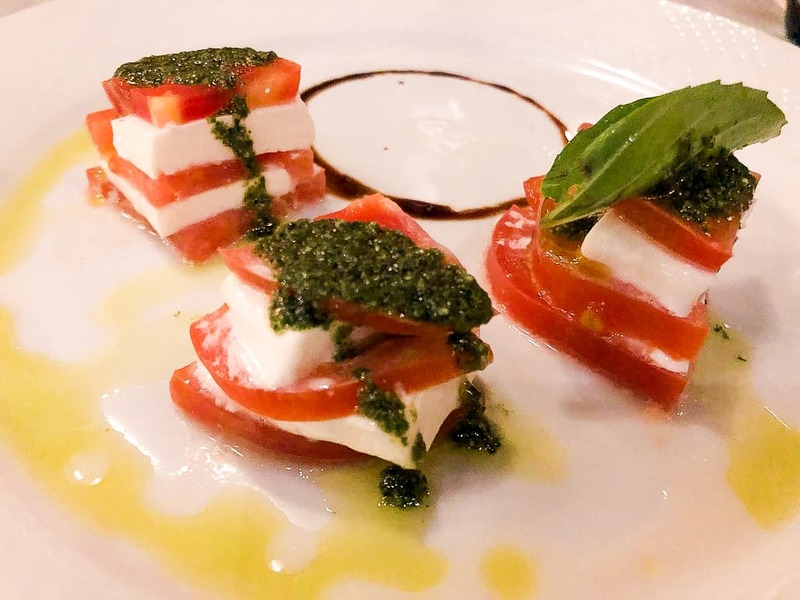 With 7 different restaurants to choose from, everyone will have a favorite meal while at the resort. There are choices from Mexican to Italian to Indian. 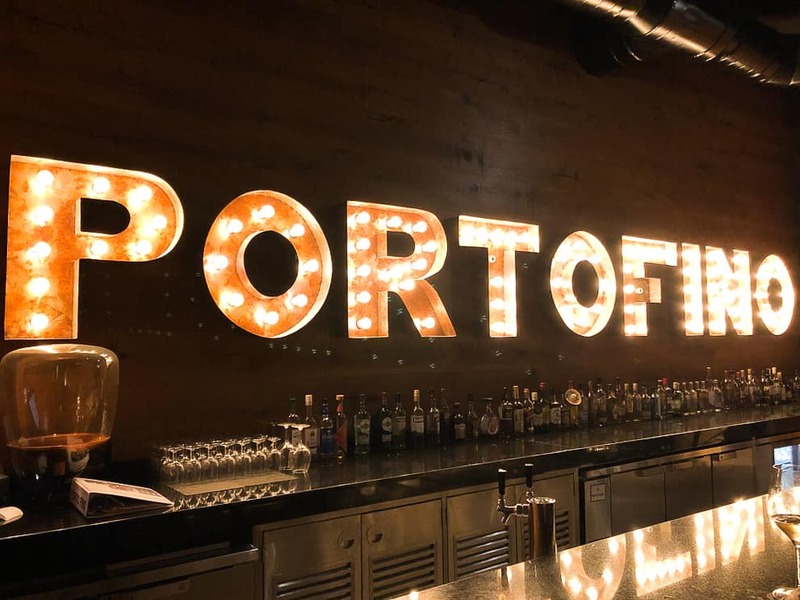 We ate at Portafino, the Italian restaurant, while we were there. The food was very good but they did run out of tiramisu. I found that a little strange since it’s the quintessential Italian dessert. The resort was only a few months old when we visited so they were still working a few kinks out. For breakfast there are only a few restaurants open. Some are buffets and some you can order off a menu. 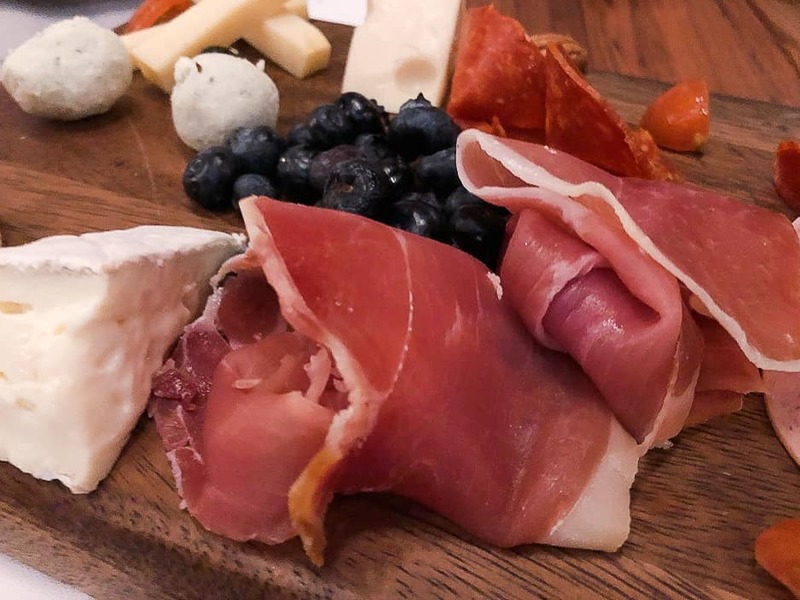 I’d suggest getting your game plan ready the night before since the resort is so large and no one will want to wander around hungry in the morning. Need a coffee fix? Stop by Piacere Coffee Shop which is located in the village. 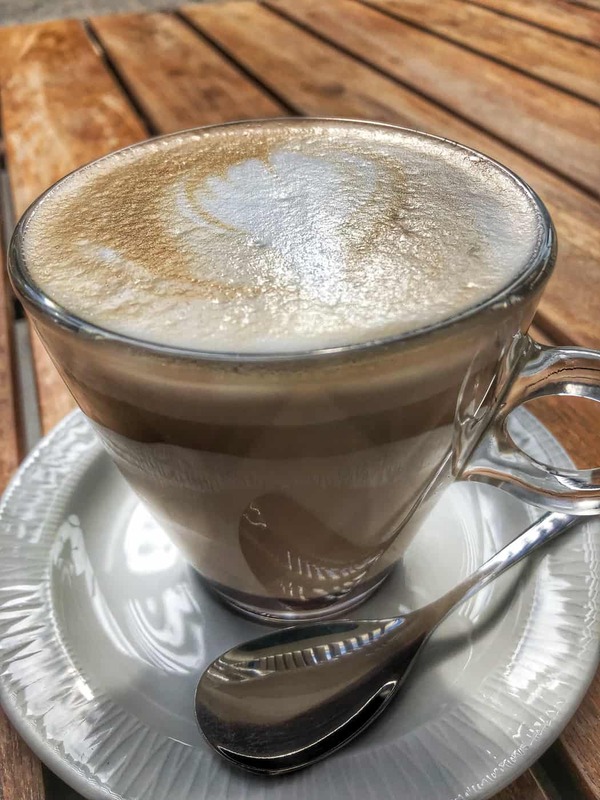 Lots of great coffee selections and plenty of seating if you want to get away alone to relax or maybe meet up with the family in the middle of the afternoon. Room service is available 24/7 for those who are under the all-inclusive plan. For other guests, room service is available from 11am to 11pm. 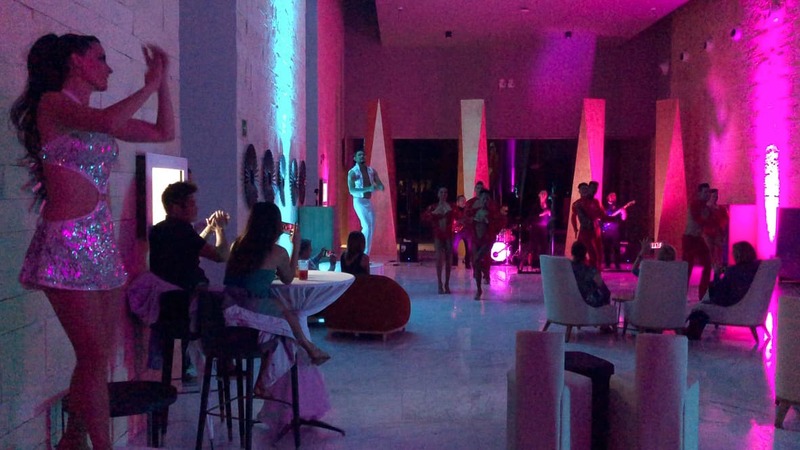 If parents need to get out alone after dinner, the nightlife at the resort is a lot of fun. There was a casino party one night we were there and there are also a few bars including a roof top champagne bar and there’s a sports bar as well. 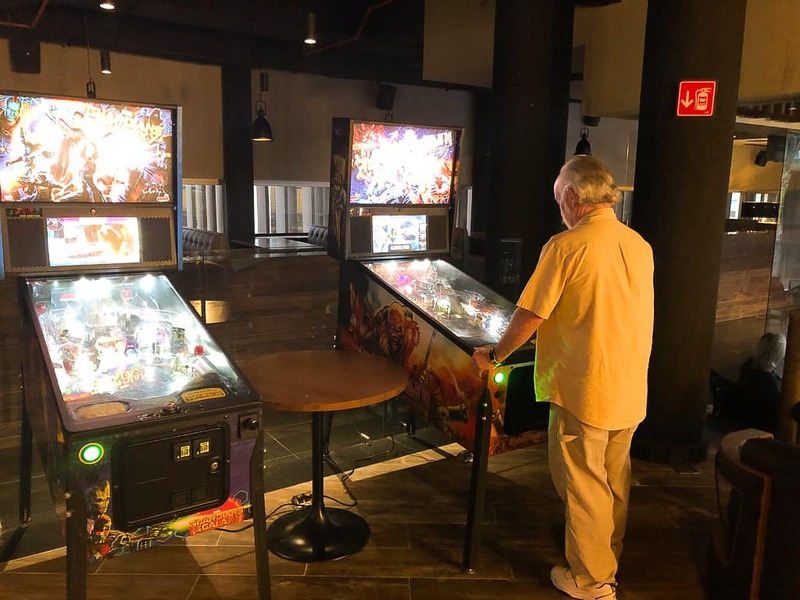 The sports bar has pinball machines, a full liquor bar, televisions and activities hosted by the resort. 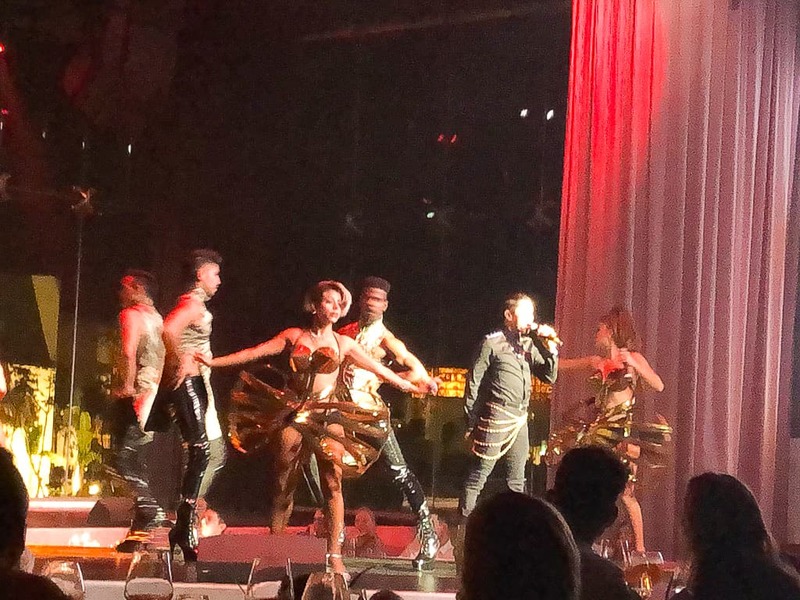 One great thing that’s available to adults only is the cabaret show, Chic. A 2 hour dancing and singing extravaganza, it’s a fun way to get some adult time together. Reservations are required and limited to 100 people per night so I suggest you make the reservation as soon as you book your room. Note: there is an extra cost to attend the Chic show. Getting tickets to Chic is actually like getting two shows. There’s a pre-show in the resort’s conference center that includes some of the dancers. You’ll have a few appetizers and drinks to get in the mood. 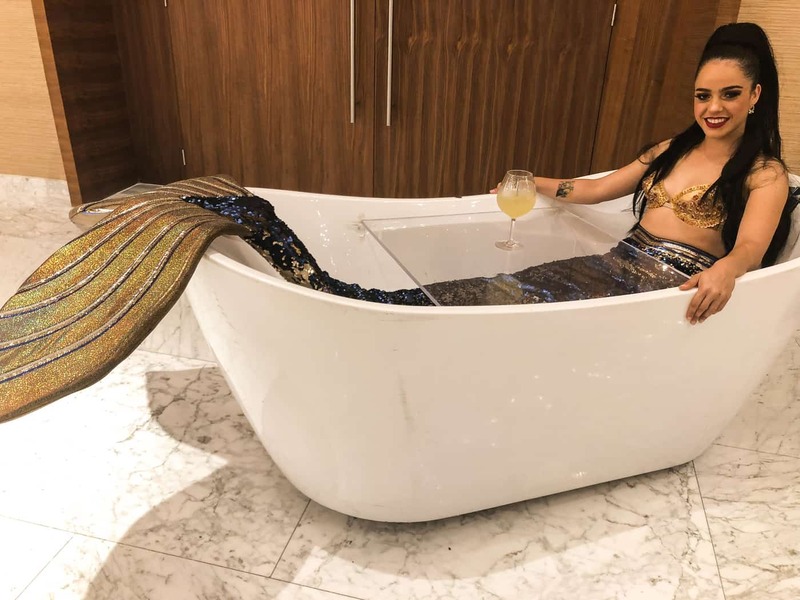 There was even a mermaid in a tub serving some drinks! 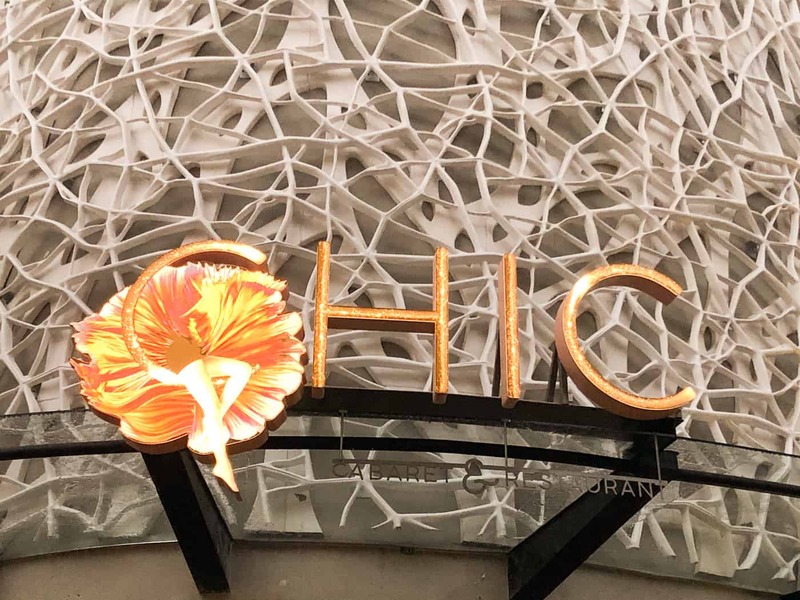 Afterwards you head over to the Chic theater where you are served dinner and drinks between sets of popular music and acrobatic dancing. The food was very good and so were the drinks. I didn’t partake of the shots between each course because I wanted to keep my wits. If you are a non-drinker I suggest you also skip. We had someone who didn’t drink alcohol in our group and when we asked if there was alcohol in the drink, in the confusion of the serving someone told us no. But I could taste it. It was also a little dark in the theater to completely see what you were eating but if you bring a little pocket flashlight you can peek at the menu. They were accommodating to those of us who had any food allergies. After the show the singers and dancers come into the audience to meet the guests and take pictures. It was a blast and probably one of my favorite things about the resort. 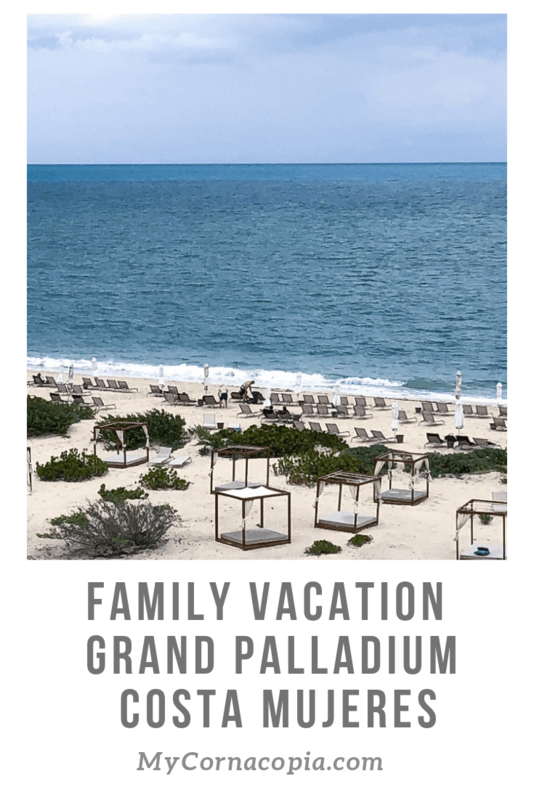 So if you’re looking for a resort where you can spend time with the kids and also some time alone, check out Grand Palladium Costa Mujeres. 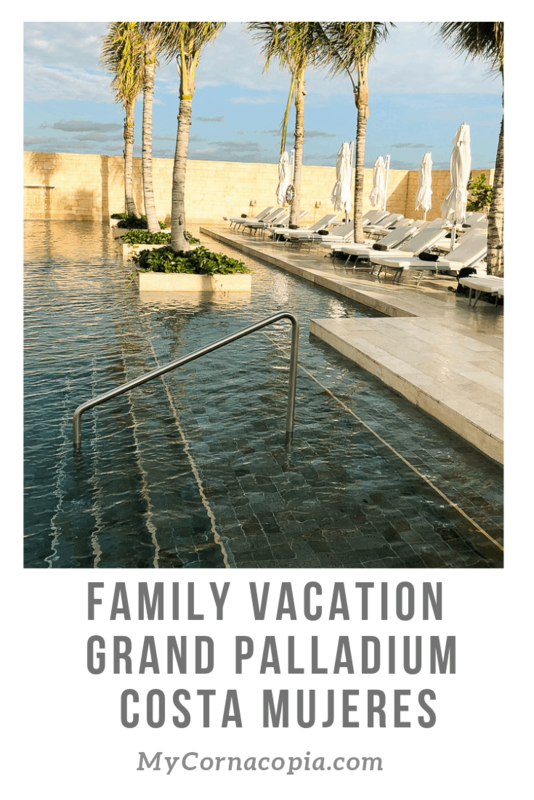 It’s a great place to have a family reunion or multi-generational trip because traveling together is great but so is some time alone to rejuvenate!